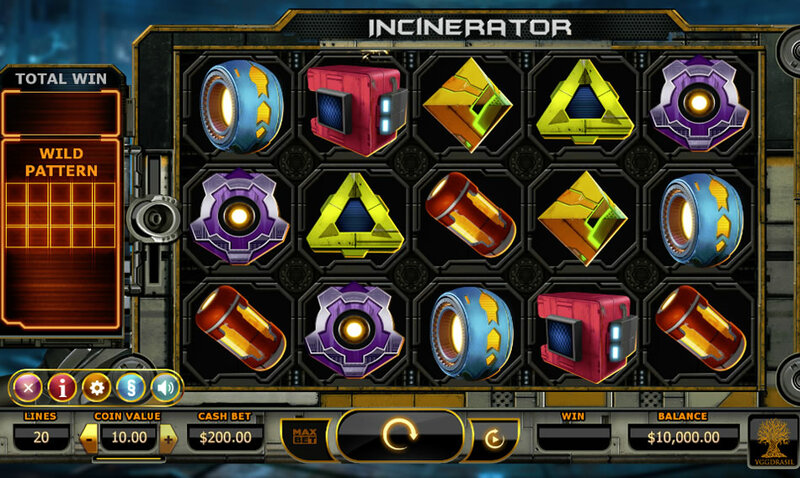 This free online slots has a video game feel to it with the sounds of battle and an enemy around the next corner. Do not expect music, but sounds of whispers and fading beats of drums and wind blowing. I found myself a bit tense as the icons dropped. The reels do not move, but the icons drop slowly from the top of the screen. They stopped with a clunk, which added more levity to the game’s theme. When I won, the icons would burn up with fire before more would drop to replace them. There are no characters just a dingy, dark background for more enhancements. 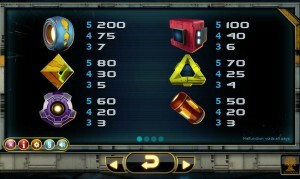 There are six icons of various space ship items. The colors are vivid with each symbol detailed with bolts and lights emanating from it. The animation comes with a winning pattern combination. Expect an additional sound of sizzling fire with each payout. 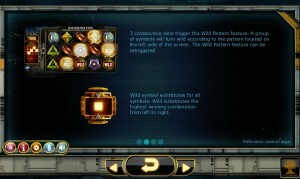 The reels are set in a spaceship door with the panel used to display the wild pattern. The total win section is located above this with amounts in bold, gold numbers. The theme is from the future world that has experienced an apocalypse. There is an intro that prepares you for the experience. 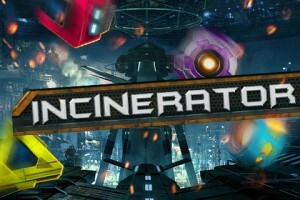 Destruction is everywhere with twisted metal and darkness. Yggdrasil uses random animation of colors that translate into sparkles of fire dripping down on icons between spins. The normal pattern wins on a regular basis. I was able to get them repeatedly. Once they land, they turn into wilds and burn up, before new icons fall into place. There are three bars at the bottom of the door controls that light up after each wild pattern win. 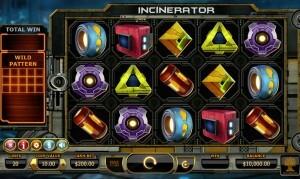 Once you reach three, the super pattern kicks in with icons incinerating at a rapid pace. 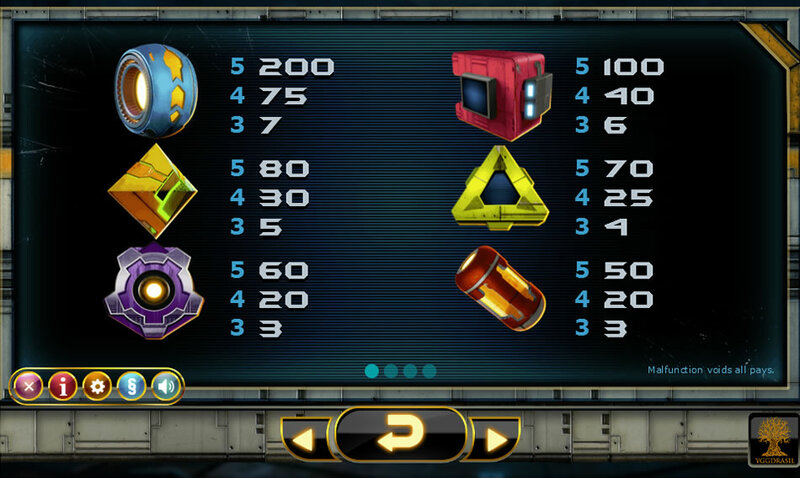 A nice detail is being able to click on any icon to see the payout for three, four, or five of them. There is an underground element to the game that keeps it mysterious. 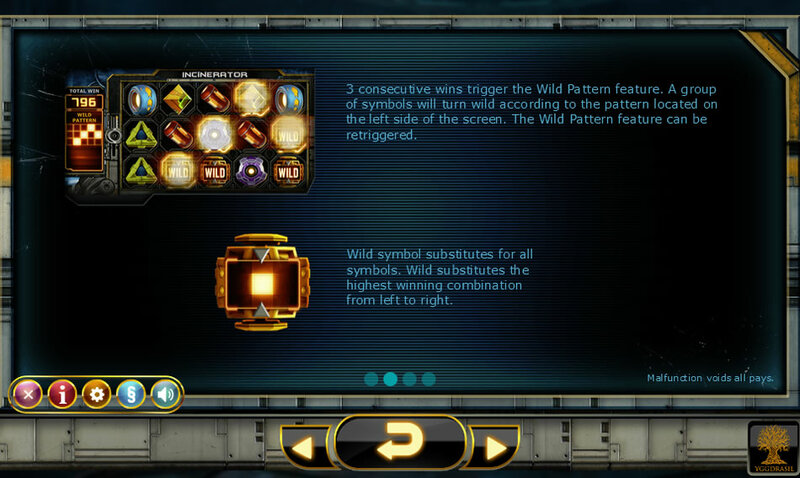 SlotsClub.com showcases this game’s special features well such as three wins in a row that activate several wild patterns. There are up to 16 patterns that translate to big wins and huge payouts. They come in two categories: normal and super. The icons include a blue metal wheel with orange inlay, diamond shaped metal, red square box with windows, yellow triangle window, purple metal door handle, and an orange cylinder with liquid inside. They do not pay much with the wheel at only 200 coins for five icons. This is followed by 100, 80, 70, 60, and finally 50 respectively. There are five reels with 20 pay lines that cannot be changed. However, the coins and bets can with the click of a button at the bottom of the reels. I let the auto spin get things started, before taking over for more control. This is another winner from this game developer. Each game I play made by them has been impressive. The amounts of winning alone with the games set-up are always engaging. Vegas slots continue to evolve with the help of treats like this one. This is a five reel masterpiece with 20 pay lines that calculate winnings from left to right. The sounds can be turned off to minimize any distractions, but this will not be necessary because they actually make the game more interesting. The clean lines and wild pattern indicator made it easy to know where I stood with winning and pattern lines. There is also a max bet feature that compliments the auto spin nicely. Another nice feature is the game only let me play 20 pay lines, which meant maximum winning with each spin.